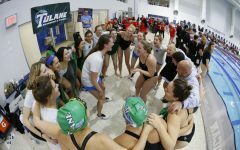 Tulane women’s swimming and diving continued its growth Nov. 16-18 as it placed third in the Phil Hansel Invitational. 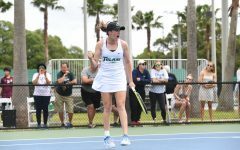 The team scored 277 points, recorded three NCAA B times and set two school records. 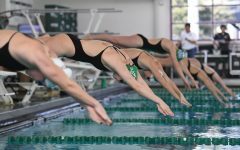 The team broke its first record during the competition on its way to a first-place finish in the 200 free relay finals on Thursday evening. Freshman Courtney Barker, junior Shelly Zelnick, junior Paris Zhang and senior Kaitlin Simpson combined for a 3:22.01 time. Simpson touched the wall at 1:31.83, beating the previous school record of 1:32.28. Later on Thursday evening, Zhang set a record during the 400 medley relay final. She posted a 50.96 in her 100 back portion of the event. The last record was broken on Saturday, as freshman Kate McDonald broke the school’s 200 breast record with a 2:02.64 in the preliminaries. 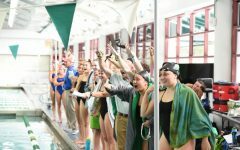 During the competition, the Green Wave posted three NCAA B standard times. Apart from the record-breaking individual performances that qualified as NCAA B times, Zelnick posted a 1:59.61 in the finals of the 200 IM and a 1:58.90 in the preliminaries of the 200 back, sophomore Olivia Johnson posted a 2:18.35 in the preliminaries and a 2:21.64 in the finals of the 200 IM, Zhang posted a 50.96 in the preliminaries of the 100 free and McDonald posted a 2:14.82 in the finals of the 200 breast. As a group, Zhang, McDonald, Zelnick and sophomore Gabby Viera totaled a 3:41.19 in the medley relay. 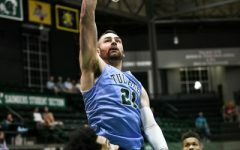 The Green Wave divers also contributed to Tulane’s performance at the tournament. Junior Anise Muir finished fourth with a score of 258.45 in the three-meter springboard and seventh in finals with a score of 227.60. Freshman Katie Nicol scored a 196.90 in the platform diving event. 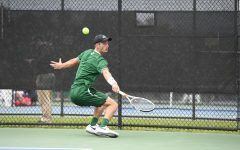 Robinson credits new diving coach Tony Cortight for much of the team’s strong performance at the November invitational. 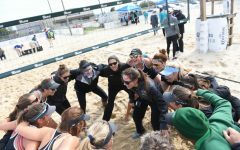 After an impressive showing at Phil Hansel, the team is reflecting on its progress and looking ahead to future meets and tournaments. 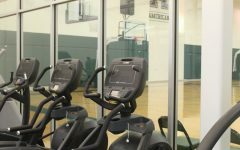 The Green Wave has now reached the halfway point in the season, and the team will have a seven-week break before its next meet at 5 p.m. on Jan. 19 in New Orleans against Loyola University New Orleans.